We are excited to announce that Dr. Allen has accepted the position as Transitional Pastor at First Baptist Jackson. Dr. Allen has committed to being in our pulpit approximately 35 Sundays over the next year and will serve as the lead preacher of a three-member teaching team during this interim time. Over the next weeks the Interim Pastor Committee will work with Dr. Allen to select the two other members of that team. 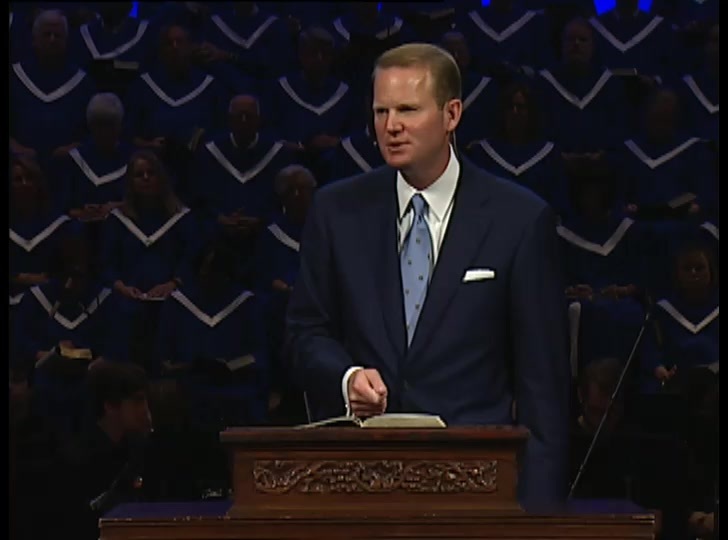 Elected on October 15, 2012, Dr. Allen serves as the fifth president of Midwestern Baptist Theological Seminary, in Kansas City, Mo., and is one of the youngest presidents in all of American higher education. Since coming to Midwestern Seminary, he has led the institution to become one of the largest and fastest growing seminaries in North America. On Sunday morning, September 10, immediately following the worship service, we will be hosting Dr. and Mrs. Allen and their children for a ‘Meet the Allens Welcome Lunch’. Purchase tickets in the 2nd level Welcome Center. Can’t imagine a more loving humble and insightful comment coming from any elder I know. Had a rough day so extra big thanks for all the sincere interest in my well being that comes through.